Eric Woerth: Good cop or bad cop? Presidents and ministers here reside in ancient palaces and grand "hôtels". Democracy is housed in royal splendour. Imagine that the French Minister of Justice, for instance, is still holding office in the very same building (at Place Vendôme) where the great revolutionary Danton was the first democratic Justice Minister in history. And the Elysée palace, home to Nicolas Sarkozy and Carla Bruni nowadays, was once owned by Madame de Pompadour. So it could well be that some modern aspects of bling-bling and flashiness date further back than you might think. There are exceptions though. 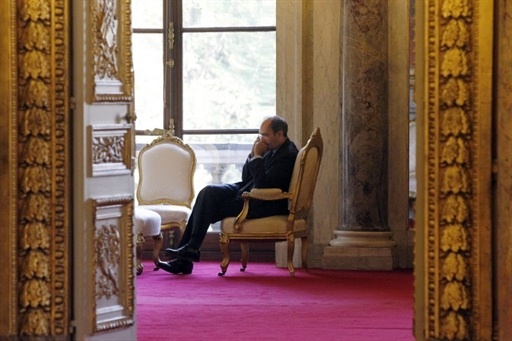 Not long ago, if you had asked an average Parisian to name his or her favourite cabinet member, it would have been quite possible that he or she would answer: Eric Woerth. The bold man with the good eyes was considered a clean and sober politician, one of those trustworthy guys you want to run a country. Woerth meant no-nonsense and his name wasn’t linked to the bonfire of vanity but to straight work and stable virtues. He was the good cop, standing out. But then, rain started to fall. In early summer, Woerth, the minister of labour, solidarity and public services, came under heavy suspicion and even heavier pressure. He was accused of maneouvering his own wife into a top post at the consulting firm that oversees the fairytale riches of France’s richest woman, Liliane Bettencourt, the heiress of l’Oréal. He was accused of accepting and actively acquiring illegal party funding from Madame Bettencourt. He was accused of other things but above all he suddenly began to look like one of the bad cops. And that hurt.